3.8 out of 5 based on 54 bloggers and 8 commenters. 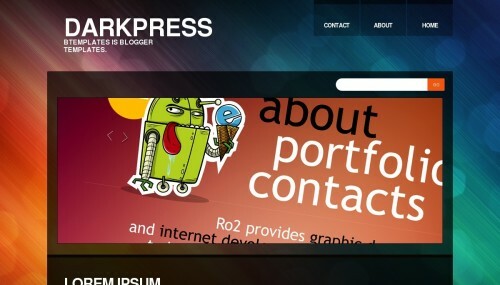 Darkpress is a free blogger template with 1 column, an exclusive design for Blogger, footer columns and abstract. So coool template with dark color. . . I get from you alot templates. The demo is not exact as what it was. Thanks Nancy, this template will be uploaded again. I do not speak English, so sorry. Could someone tell me if it is possible to remove the image of the robot with an ice cream.